The U.S. Marine Corps wants to deploy a small unmanned aircraft system built using three-dimensional printing technology to support the military branch’s combat operations in the coming weeks, Defense Systems reported Monday. Capt. 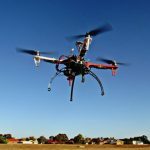 Christopher Wood, co-lead for additive manufacturing at the Marine Corps headquarters, said that the Nibbler UAS will aid surveillance missions alongside other 3D-printed drones that the service branch is currently developing, the report stated. Wood added the Marine Corps aims to establish a small manufacturing function and produce a “near infinite” range of UAS that can be produced from basic materials, such as a fixed-wing UAS and a small quadcopter for building clearing operations. He noted that the Marine Corps will forward deploy these 3D-printed UAS technologies into a combat zone “as soon as possible,” according to the report.